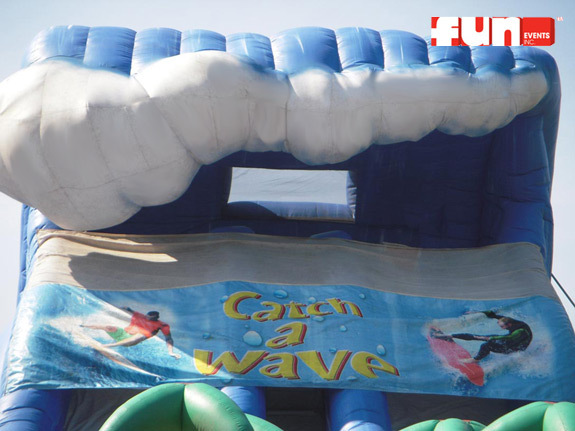 Catch a wave as you surf down this ginormous inflatable super slide. 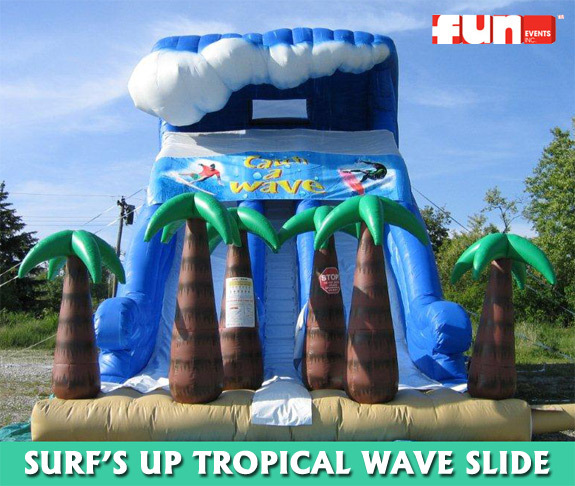 Comes complete with inflatable palm trees and a giant water wave. Great for tropical theme event ideas for luau party rentals. 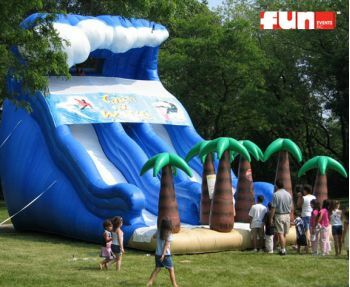 This is a double lane inflatable slide rental.